Samsung is soon to release a new Samsung Galaxy S10 Exynos although the company has not yet announced it yet. If you are looking for high end phones in 2019, Samsung is a safe bet. Several of the company’s phones have been certified as of January and we expect even more from this trailblazing smartphone company. When you think about this phone thin about Super AMOLED screen, Corning Gorilla Glass 6, very strong battery, paired with an optimized performance department, and a capable set of cameras. 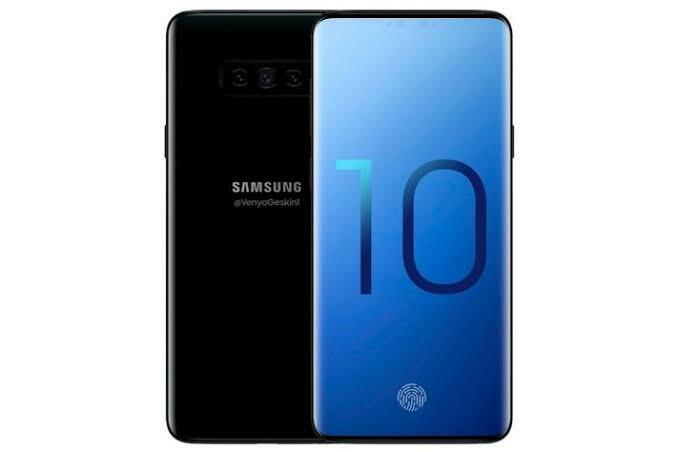 Let’s check and find the marvelous features of the new Samsung Galaxy S10 Exynos we are soon to get from Samsung. To start with, this phone arrives in metal body design with fingerprint scanner. Dimensions and weight specs are unknown. It comes in black, blue, green, white and yellow colors. Meanwhile, this phone has waterproof protection and also has face recognition. Also, it is good with 6.4 inches of Super AMOLED capacitive multi-touch screen. There is no secondary display but it has display protection. To be added, it sports 2960 x 1440 pixels of screen resolution. Also, there are 16 million colors with features such as 18.5:9 aspect ratio, Infinity display, Always-on-display, and 514 ppi pixel density. This phone has triple primary rear camera of 12 MP plus 12 MP and another camera we are not sure of, that comes with LED flash. Additionally, at the front the selfie camera is dual 8 MP lens and another unspecified with front screen flash. However, the video performance in the device is 2160p among others. Then, the camera features in the phone are as follows: Geo-tagging, touch focus, face detection, panorama, auto focus, burst mode, face beauty, HDR, with other features. Also, Samsung Galaxy S10 Exynos also sports Android OS v9.0 Pie as the operating system in the device. In addition to that, the device comes with Exynos 9 Octa 9820 chipset. Besides that, the CPU is Oct-core Cortex A75 and the GPU is Mali G76 MP12. Notably, there is a variant of 6GB + 128GB, 8GB + 512GB and another 12GB +1024GB in the device. These can be increased through a micro-SD card. Furthermore, there are eleven sensors in the phone and they are accelerometer, proximity, fingerprint, compass, gyro light and some more. Actually, Samsung Galaxy S10 Exynos phone is supported by GSM, HSPA and LTE networks. Also, there is an optional single SIM phone for users who may need it. In view of these, this phone is able to manage 2G, 3G and 4G networks. This makes it a 4G mobile device that has dual hybrid/nano SIM card slot. Furthermore, Samsung Galaxy S10 Exynos also has Bluetooth v5.0, Wi-Fi, mobile hotspot, GPS, A-GPS, GLONASS, BDS, NFC, headphone jack and USB v3.1. Type C 1.0. Clearly, there are no infrared and HDMI in this device. The battery is a Li-Po 4000 mAh non-removable battery. Notably, this phone has wireless charging but it has fast charging support. The talk time and standby time are not specified. To conclude, Samsung Galaxy S10 Exynos official price is not stated as it is not announced at this time. This phone will soon be released in the first quarter of 2019 and be available for purchase in stores.